Some kids, like my own, have a more difficult time than others when it comes to processing the five senses. Some sights, sounds, smells and touches make them freak out! My son’s hands would go straight to his ears when we turned a certain corner of the grocery store to avoid the humming sound from the freezer section. For a long time, he would cry as soon as we would go into a bathroom anywhere other than home because he was too worried about the sound of the flush. There are a lot of missing tags in his clothes because they irritate him to no end. He will not touch, much less eat, foods of a certain color or texture. It’s hard because you worry about all of the “what if’s” when you’re trying to figure out these sensory issues. What if they have a hearing issue? What if they are not getting enough nutrients? How can we enjoy a vacation or go to unfamiliar places? We’re always trying different things to work on sensory issues. 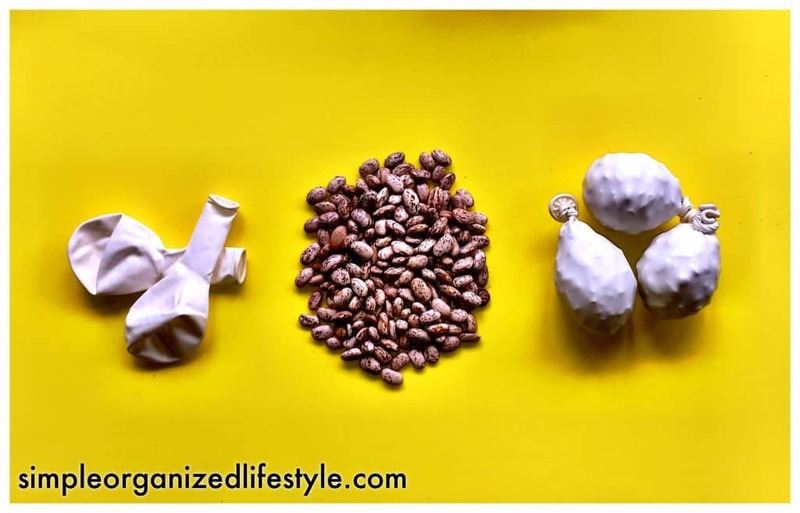 Some of these everyday objects have helped more than others but I’d recommend them to anyone because they are worth a try! Really, just fill a small balloon with dry beans, it’s that easy. 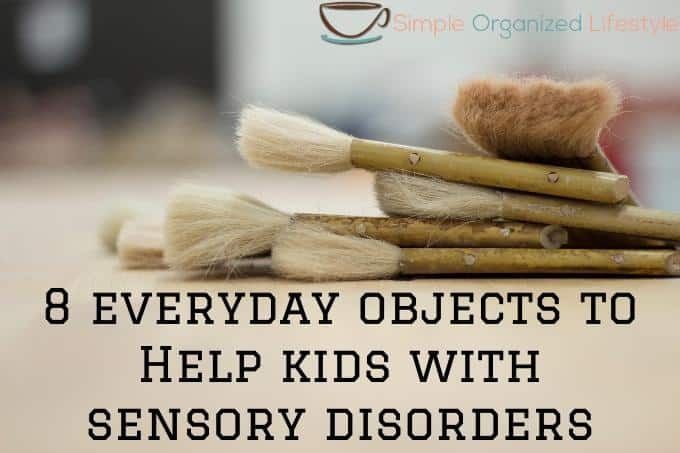 It’s a great way to give them some quiet sensory input and it’s calming. It keeps their hands occupied and good for fine motor skills too. To cover an automatic flush sensor. Obviously, you can’t do this in multiple stalls of a restroom but it will reduce the anxiety and noise from a kid who is stressed out from the immediate sound of the flush. Kids with sensory issues hear sounds differently than most people. The sounds are much louder and harsher on their senses. They still enjoy new experiences, but may need some accommodations. 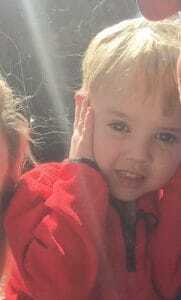 We went to the circus and my son kept his ears covered the entire time. He loved it, but couldn’t tolerate the loud sounds. After that, we bought these Amazon Basics Headphones for Kids and sent a pair to school as well. Anytime a child needs to calm down, try using a soft bristle hair brush or wide paint brush with gentle pressure to stroke their arm. If you’re in a crowded, unfamiliar place, try letting your child carry a backpack with a few objects in it for some weight. Even better if it latches in the front. It gives them a feeling of security along with the sensory input. This is also why we took a lightweight stroller to Disney last year even though our son was old enough to walk. It was more for security and keeping him calm in a fun (but overwhelming) new place. This one sounds crazy but I’ve seen it work. I’ve recommended it to some of my friends with kids who have ADHD and autism. If a child starts getting frustrated and is potentially headed into melt down mode, just ask them to open their mouth and give them a quick sour spray. I think it shifts their focus to the different taste and kind of works like a welcomed distraction. Most kids like it anyway! This was a preschool lifesaver for us. Regular general purpose sandpaper the same as you can find in the hardware store. If you have a kid who hates writing, coloring, etc., put a piece of sandpaper behind whatever it is they are working on. It also helps to put it on something like a lap desk. The texture and being able to feel the input from underneath the paper helps! Give it a try! Also great for the kid who does not like to write. It could be that they have an awkward grip and it hurts their hands. Pencil grips are cheap and worth a try. I hope something will be helpful to you! In the mean time, hang in there and keep trying different things. 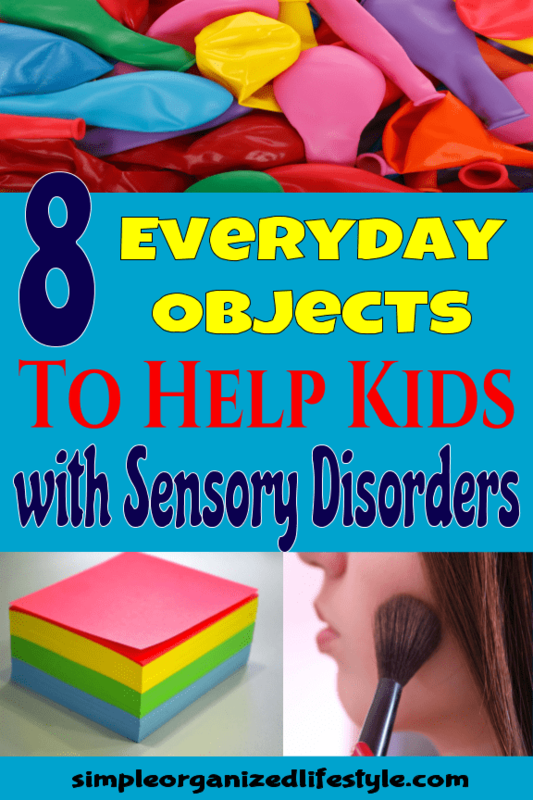 A lot of these sensory issues will get better with time, language development and maturity.